Dedicated to water and wastewater control, Primex is North America’s largest producer of complete water control solutions. 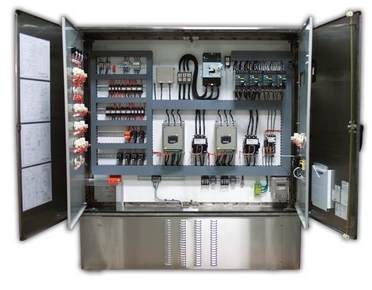 Their advanced SCADA solutions (Supervisory Control And Data Acquisition), icontrol® telemetry systems, and Arc Armor® remote control panels are engineered for a wide range of water pumping and control applications. Flow N Control offers Primex’s full line of SCADA solutions, and will help you find the system that will provide the best performance and efficiency for your unique needs. Request a quote on Primex products for your application, or contact us for more information. Primex, a division of SJE-Rhombus, offers end-to-end water and wastewater control solutions. Their high performance products are built on nearly one hundred years of expertise and experience. With UL 508A, UL 698A, UL NNY, and numerous other certifications, Primex delivers innovative technology and energy efficient, cost-effective SCADA systems and more. 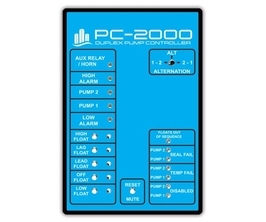 Flow N Control is an authorized distributor of Primex SCADA systems, icontrol® systems, and Arc Armor® control panels, providing the most advanced solutions for water and wastewater control. Contact us for the Primex products you need.